November 11, 2018 marked the 100 year anniversary of the end of World War I. 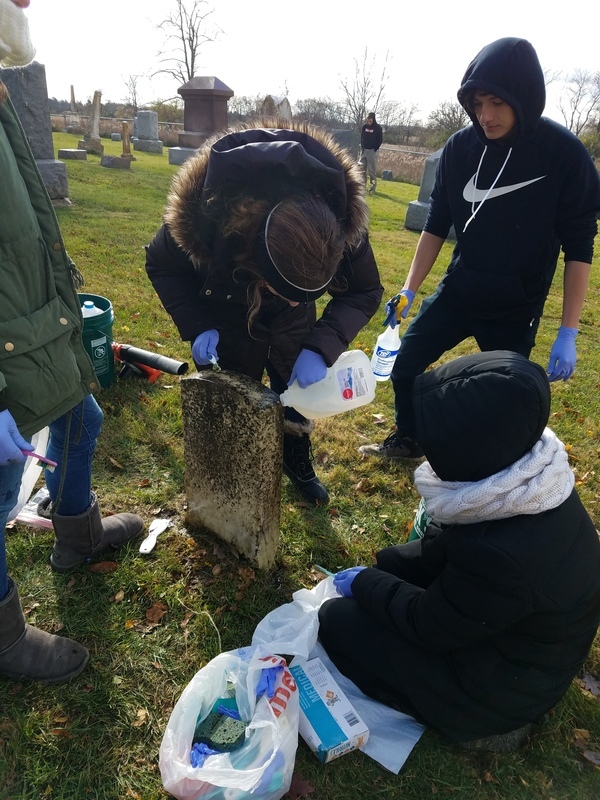 To honor our fallen heroes, TVHS history students completed a service project within our community to clean the gravesites of deceased veterans. 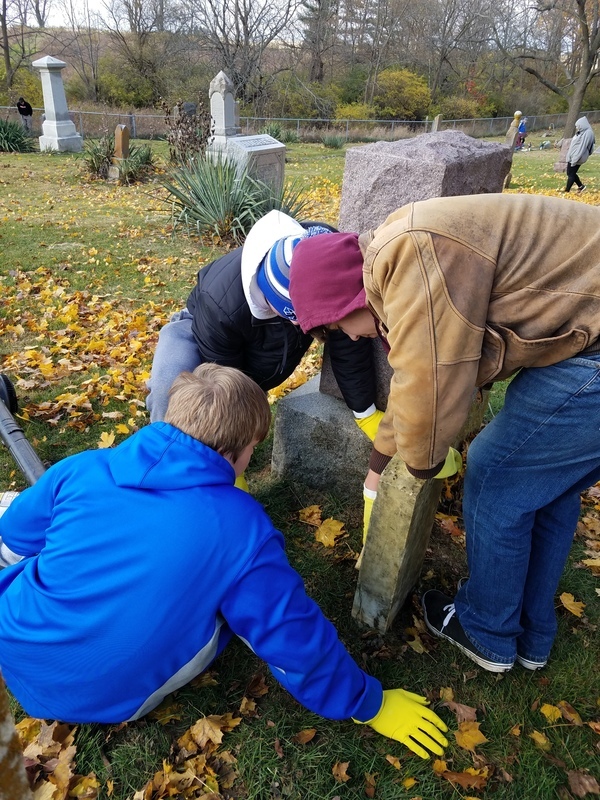 Our students and teachers teamed up with the Downs American Legion, Downs Cemetery Board, and the VFW, to complete work within several local cemeteries including Hopewell, Pleasant Grove, and Frankenberg. 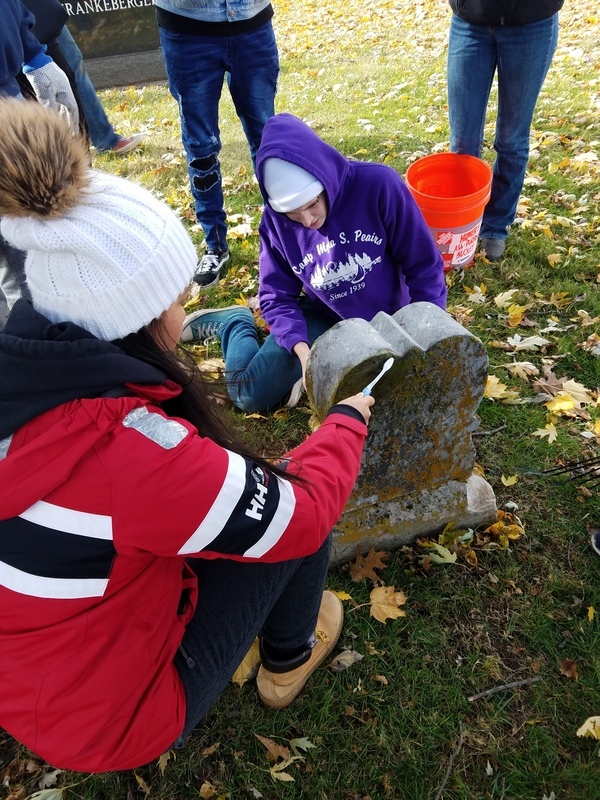 We are grateful for the support and generosity of the Downs American Legion and Downs Cemetery Board as well as the Bloomington VFW for sponsoring this service-learning project. TVHS teachers Mark McBride, Cameron Zindars, and Krissy Vaux were the leaders on this project and spent a lot of personal time planning and organizing this learning opportunity for our students. We are SO PROUD of our students and staff for taking on this type of project! The students worked really hard and it was great to hear them discussing and asking questions about the graves that they cleaned and the veterans they honored. Here is a link to an ISU Student News video, and below are some pictures as well.